You may have climbed that first mountain or are all the way on #48, but we both know you're a champion. 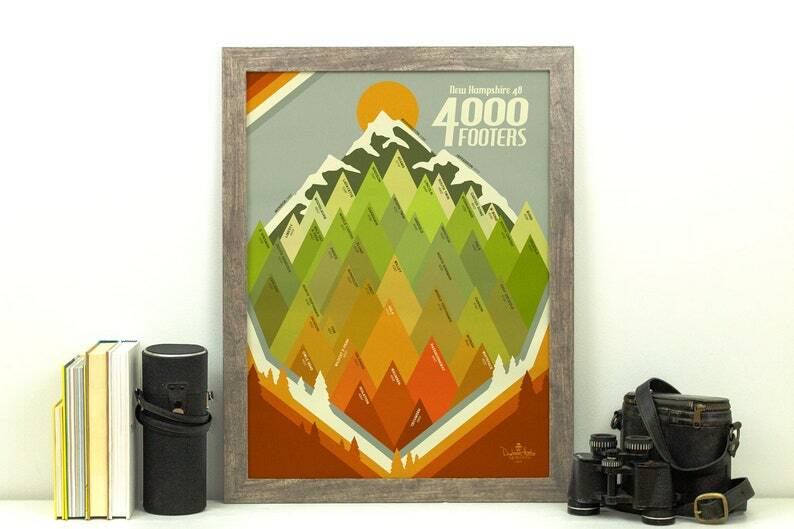 How about you celebrate with an awesome poster commemorating your mountain conquering achievements! This print highlights all 48 of the 4,000 footer mountains in the beautiful state of New Hampshire. The highest among them is Mount Washington, which sits above the other 47 peaks at 6,288 feet. The 4000 footer poster is nothing short of amazing in person. The paper he uses is super thick and the colors really pop. Looking forward to purchasing a NE67 one day too!